New Lucena is a fourth class municipality in the province of Iloilo, Philippines. According to the 2010 census, it has a population of 22,174 people. The “New” in the name was added in 1955. 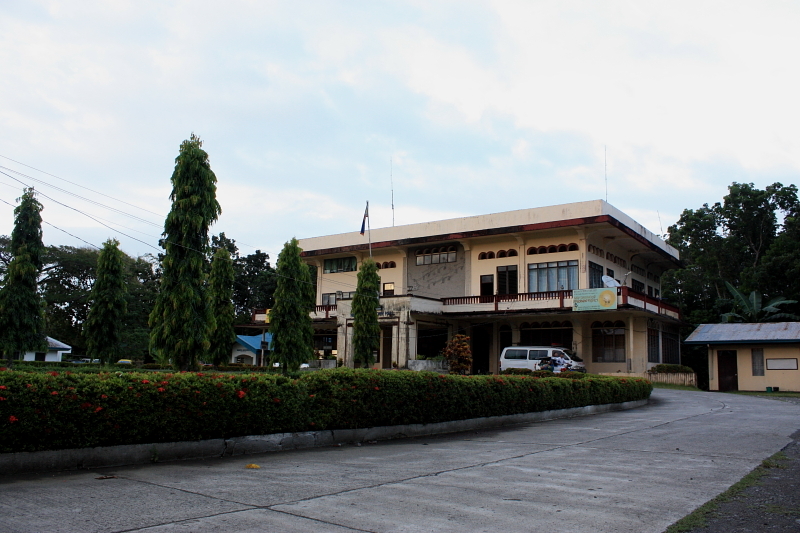 The Municipality of New Lucena is located in the central portion of the Province of Iloilo. New Lucena has a total land area of 4,410 hectares (10,900 acres), or 0.83% of the total area of Iloilo Province. It is approximately 28 kilometres (17 mi) away from Iloilo City. It is bounded on the northeast by the Municipality of Pototan, on the southeast by the Municipality of Zarraga, on the southwest by the Municipality of Sta. Barbara and on the northwest by the Municipality of Cabatuan and a little portion of Mina. The town proper of New Lucena could be traversed by land either way via Dawis-Zarraga or via Sta. Barbara. It is 9.8 kilometres (6.1 mi) from Sta. Barbara, 15 kilometres (9.3 mi) from Cabatuan, 6 kilometres (3.7 mi) from Pototan, 6.6 kilometres (4.1 mi) from Zarraga and 11 kilometres (6.8 mi) from Mina. New Lucena is crisscrossed by the roads from the north to south and east to west thus providing roads for easy means of transportation. The Sta. Rita Clay Loam covers the Barangay Cagban, Burot, General Delgado, Baclayan, Poblacion, Dawis, Balabag, Damires, Calumbuyan, Jelicuon Este and Pasil; also occupying the larger parts of Bita-og gaja, Bilidan and Bololacao; then occupying a smaller portion of Barangay Wari-wari, Cabugao and Guinobatan. Its corresponding type, areas coverage and percentage from the total land area are as follows: The Alimodian Clay Loam covers an area of 1525 hectares is 34.56% of the total land area. The Sta. Rita Clay Loam covers an area of 2887 and 65.44% of the total land area. The degree of inclination of the municipality ranges from 0 to 15%. It is best described as broad to level land so moderately undulating and gently rolling land sloping in more than one direction. The slope category A with 0-3% best described as broad to level nearly level, has a total land coverage area of 1475 hectares representing 33.43% of the total land area; 3-5 percent slope or slope category B covers an area of 1762 hectares or 39.94% of the total land area. The 5-8% slope or category C has a total area coverage of 1050 hectares or 23.80% of the total land area. And the 8-15% slope representing the smallest figure of 125 hectares is 2.83% of the total land area. New Lucena is politically subdivided into 21 barangays. Led by Bartolome Valenzuela, a prominent resident of the barrio (Jimanban) the resident organized themselves and petioned the governor general that they be granted independence by putting up a church, convent and a casa real (municipal building). With the help of the provincial officials and captain municipal of the municipalities of Sta. Barbara, Cabatuan and Pototan, Lucena was separated from Sta. Barbara on October 9, 1877 in accordance with the Dirrecion General De Administration Civil. The first Municipal Officials were elected and the first captain municipal was Bartolome Valenzuela known as Tan Abe, the grandfather of the late Senator Tomas Confessor and Representative Patricio Confessor. It is not recorded when Jimanban was changed to New Lucena but Lucena reportedly comes from dialect Lu (Ulo) which means “head”and “cena” which is the short version for the flower azucena, which means pure and peaceful. Thus, Lucena means pure and peaceful leader. Another belief was that, Jimanban was changed to Lucena after the name of the Provincial Alcalde Mayor Pedro Gonzales Lucena, the 36th Executive of the Province of Iloilo in 1716-1717. When the Americans came, Pueblo de lucena was again in incorporated to the Municipal of Sta. Barbara in 1902 for economic security and facilitation of government. In 1921, the prominent citizens of Lucena petitioned for its separation from Sta. Barbara. 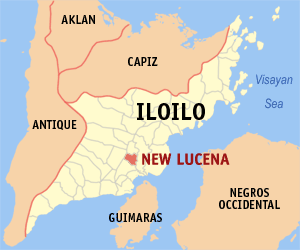 On January 1, 1947, Lucena became a new town in the Province of Iloilo, thus it is now called New Lucena.